A few days ago I ran across the above photo and here is the story behind it. 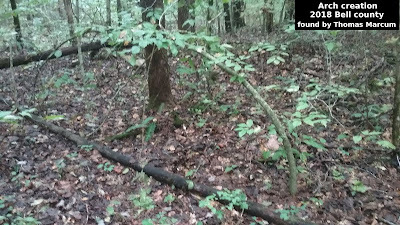 This picture was reportedly taken by Jeff Robinson, he was on a camping trip when he heard some sounds outside of his tent. So he takes his camera phone and takes a picture, he was thinking it might be a deer, but the above photo is what turned out. Or so the story goes. I attempt to contact Mr. Robinson via email but have not heard back from him. I wanted to ask some questions about the photo and how it came about. 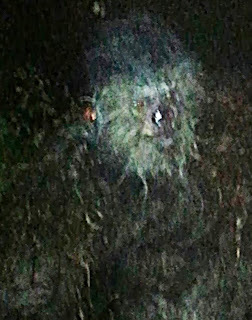 The photo was posted on a questionable site, Beacon bigfoot, but they were helpful in giving me the contact information. I also adjusted the photo a little to try to see it better here is the adjusted photo. I just wanted to share the story and photo, it is very questionable to say the least. Feel free to leave a comment as to what you think about the photo. Not because I question any photo or video taken these days but I never heard of a Bigfoot before posing to be taken that close up. The original photo has three other faces in it, so I believe it's real. 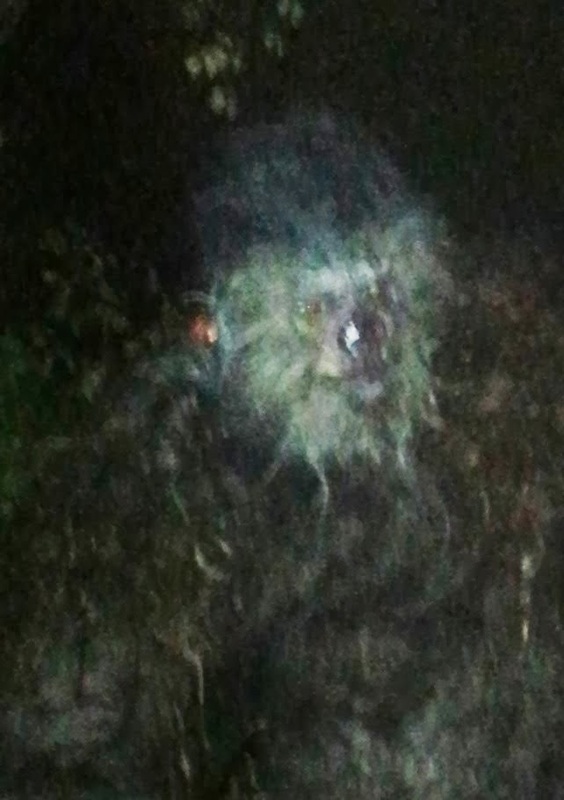 The so called bigfoot are not animals that all look alike. They are giant monsters that are breeding like rats and ( I believe ) they will one day rise up and go on the attack. They are running out of living space, that's why we are seeing so many of them. They study us for the day they will kill us. Ancient history says it all. Where is this original photo? I will soon be posting my experiences with these most amazing creatures. Some of these almost scared the mud out of me, then some experiences I was given the opportunity to view a peaceful Sasquatch experience. They need gov't protection from those who would cause them great harm. I know one thing. If I were to see someone trying to harm a Sasquatch, I would intervene. Immediately & with deadly force if necessary. Believe it !! !